Product prices and availability are accurate as of 2019-04-18 21:36:18 UTC and are subject to change. Any price and availability information displayed on http://www.amazon.com/ at the time of purchase will apply to the purchase of this product. 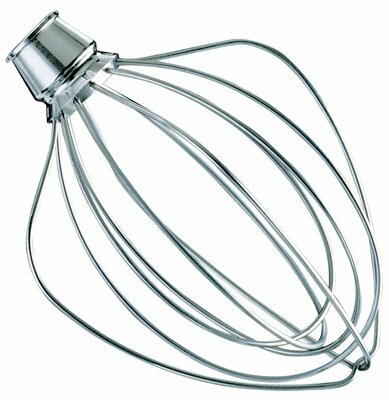 Stainless Steel, Wire Whip, For Whipping & Beating To Incorporate Air In Egg Whites, Cream & Frostings, For Use With #K45sswh, Ksm150, Ksm155 Stand Mixers.